We strive to offer the lowest prices for our quality products and your complete satisfaction is our number one priority here at Horse Tack Now. 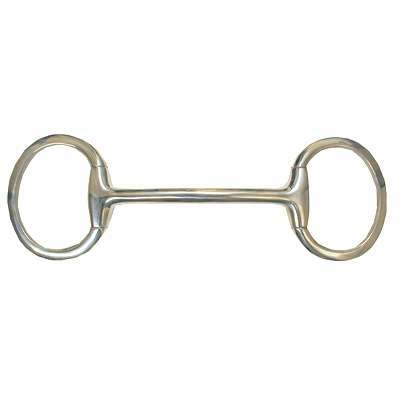 This is clearly one of the best Flat Ring Mullen Mouth Eggbutt Bits available here at Horse Tack Now. This item measures 2.5'' in the rings and 12mm in mouth. The Eggbutt Bit sits on bars to give relief in the horses mouth and sides of mouth. This item is also made of pure stainless steel which will last a lifetime. Only the best Horse Bits are sold at Horse Tack Now. We have the biggest collection of the horse tack supplies in the market at the lowest prices guaranteed.